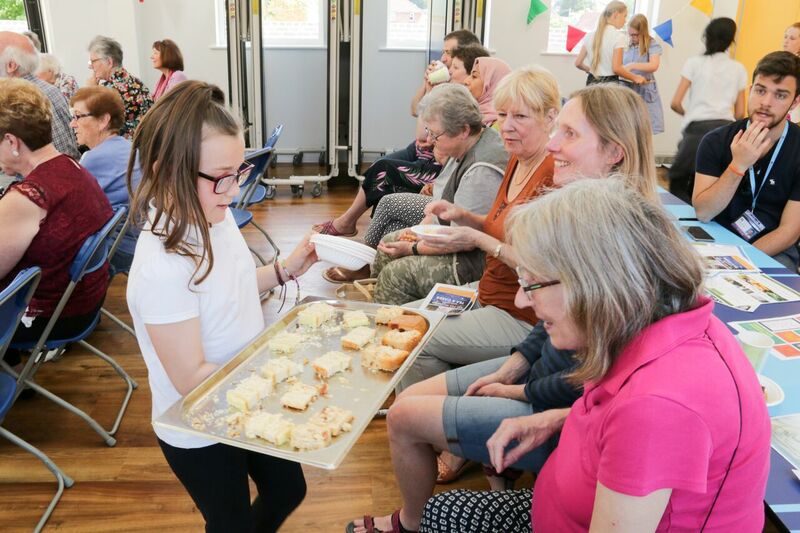 On 16th June Filton Avenue Primary School ran a ‘Big Lunch – Cake event’ with the support of the community based housing association, United Communities and Ebenezer Church lunch club. The Big Lunch is a very simple idea from the Eden Project. The aim is to get as many people as possible across the whole of the UK to have lunch with their neighbours one day in June in a simple act of community, friendship and fun. The event saw residents from the local community join Filton Avenue Primary School for tea and cakes with entertainment provided by the pupils. The pupils delighted their audience with dancing and musical performances as well as giving the residents an opportunity to hear from the school’s student councillors. Julie Britton, Deputy Child Protection Lead/parent support, who coordinated the day said, “It was a great way to engage the community and come together – old and young- to showcase our school and the wonderful work our pupils have achieved over the past year. We look forward to hosting more events over the coming years. Thanks to everyone who came and supported Filton Avenue Primary School’s event.